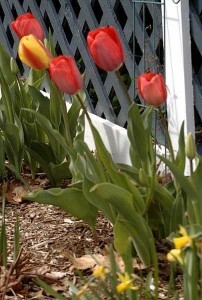 Here in Freeport Maine we finally have cast off our long Winter and Spring is definitely underway! The tulips and hyacinth are out in force, and are showing their beauty. Can the lupine be far behind? ?